​ The Holy Land has often been referred to as “the fifth Gospel”, and with good reason. Once you have been there, you will never experience the Gospels the same way again. After you have crossed the Sea of Galilee, Jesus and his disciples “going over to the other side” takes on a whole new meaning. Once you have sat on the Mount of Beatitudes, the Sermon on the Mount comes alive. Once you have walked where Jesus walked, your appreciation of the Scriptures increases dramatically. It is an opportunity that is not to be missed. My wife and I were fortunate enough to accompany Fr Kevin and 37 other pilgrims on a trip to the Holy Land in November, 2016. I can hardly wait to return. From the beauty of the Mediterranean Sea to the desolation of the Judean wilderness, Israel is a land of contrasts. Perhaps most memorable for me was our time in the holy city, Jerusalem. 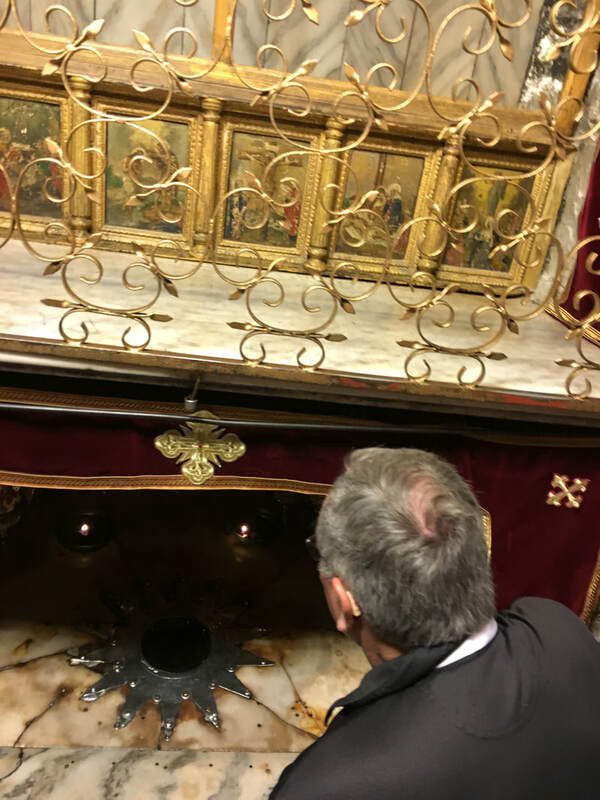 To trace our Lord’s painful steps through the narrow streets on the Via Dolorosa and to behold the agony and glory of the Church of the Holy Sepulchre (the traditional site of both Calvary and the garden tomb) is almost too much to take in. 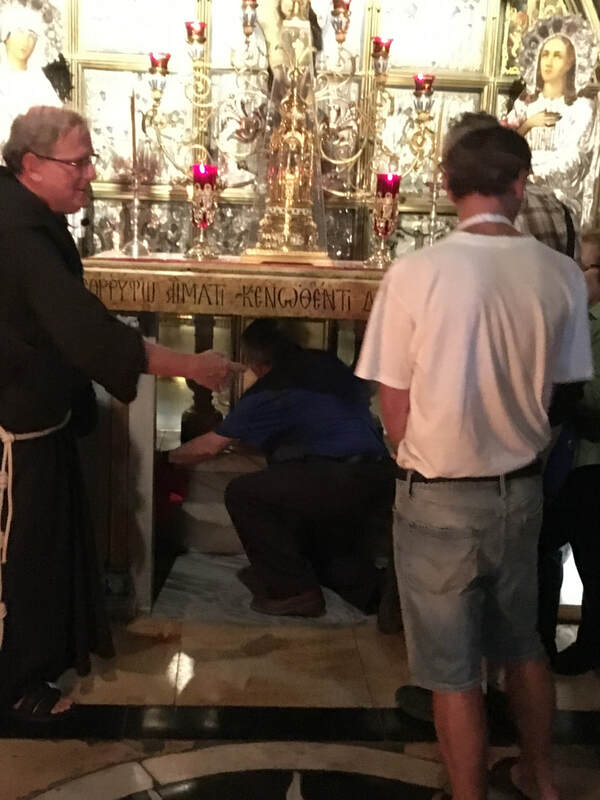 You find yourself needing to “come aside and rest awhile” (Mark 6:31), just to process the sheer amount of holy places and shrines and churches that you will visit. 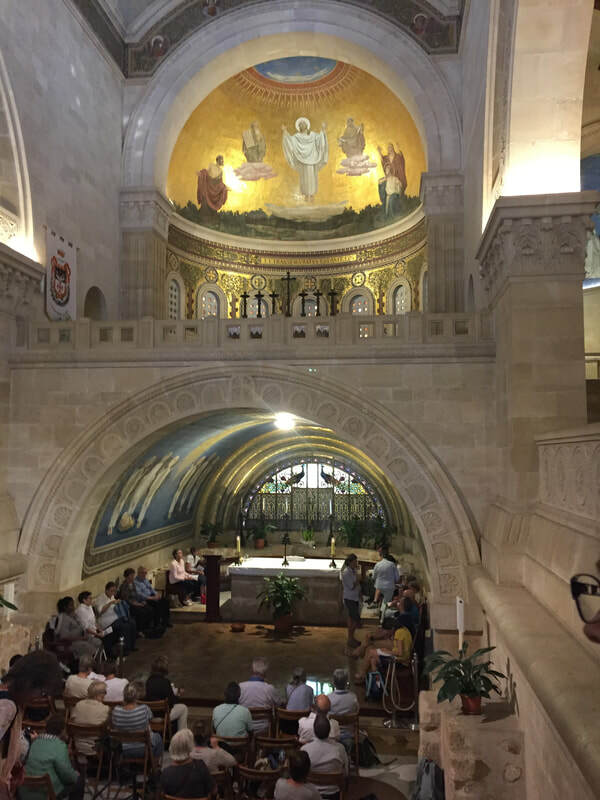 From the Church of the Nativity in Bethlehem to the Bascilica of the Annunciation in Nazareth, to the Upper Room to the Church of the Transfiguration on Mount Tabor, it is almost an ”overload” on the senses and the spirit. But in a good way. Each day is packed full of new places to see, and daily Mass in the land of the Bible is a whole new experience. It is amazing indeed to be in some of the very places that are mentioned in the daily readings. So if you have the opportunity to visit the Holy Land, don’t pass it up. It is indeed the trip of a lifetime. Nothing else really can compare.